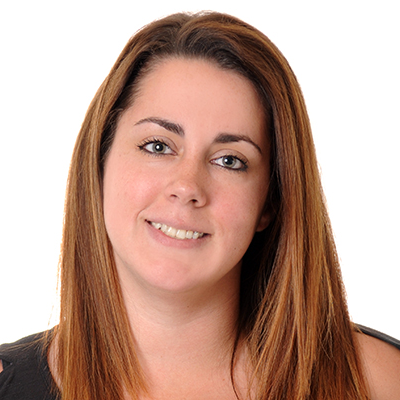 Laura graduated from the Central Maryland School of Massage in 2011 with focus on Swedish and Deep Tissue Massage. There she was trained by veteran Massage Therapists that have been massaging for over three decades all around the world, even working on celebrities as famous as Oprah Winfrey. Throughout school, she began training in hot stone massage, prenatal & infant massage, reflexology, aromatherapy, before and after sports massage, and many other different modalities. She is continuing her education in order to offer her clients new forms of therapy to further improve their daily lives. Massage therapy is extremely important, it benefits all aspects of your life, mind, body, and soul. Whether you have problem areas or just need some time to yourself to relax, make your appointment today and let the pampering begin! Jamie proudly graduated from the Baltimore School of Massage in 2003 with a focus on Swedish, Therapeutic and Deep Tissue Massage. 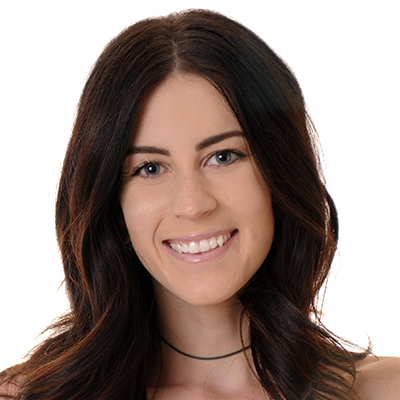 She also has a National Board Certification for Therapeutic Massage and Bodywork and is continuing her education to be able to offer her clients new forms of therapy to further improve their daily lives. School is her hobby, she has enjoyed learning from many teachers. Her studies have included energy work with Alexandra Windsong, coordinated remote viewing with David Moorehouse, and Shaman studies with Susan Gregg. Throughout her career thus far she has worked at salons, day spas and chiropractor’s offices. We hope you come in for a visit, Jamie is looking forward to relaxing you. 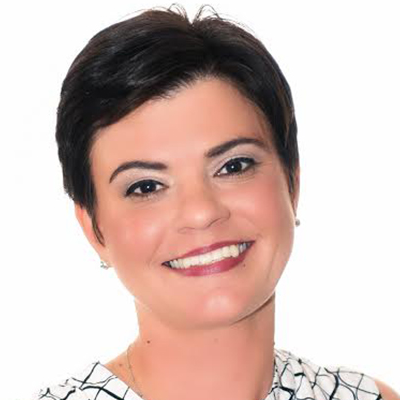 Christina is a graduate of Steiner Institute of Esthetics at Baltimore School of Massage and was licensed in April 2015. She completed her 660 hours of schooling, including 81 hours in the student run skin care clinic. After graduation she has received continuing education with PCA Skin and Bioelements skin care lines. Christina has worked as a makeup artist in the Baltimore area since 2013 and specializes in mineral makeup application and education. In addition to customized facials and skin care plans Christina also provides body treatments, waxing, lash lift, lash and/or brow tint services. When you look good, you feel good. When I was a teenager I struggled with acne and I remember how it affected my self-confidence sometimes. I am now Mom to a teenager with acne and I don’t ever want her to feel less than because her skin is not as clear as she wants it to be. As an adult I worry about other things that make me feel less confident some days, like aging and wrinkles. I love my job because I enjoy helping people feel good and feel good about themselves. Skin care treatments are not only relaxing and a time to unwind they can be very effective at treating a wide variety of skin concerns. 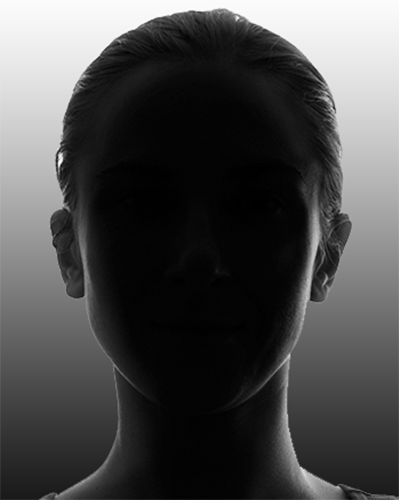 Educating clients on what is happening with their skin and developing a treatment plan to correct those concerns is the main goal of a facial treatment but developing and fostering a relationship with the client is also just as important. My hope for every client I see is that they leave my treatment room feeling better than when they walked in and more confident about how to best take care of their skin. 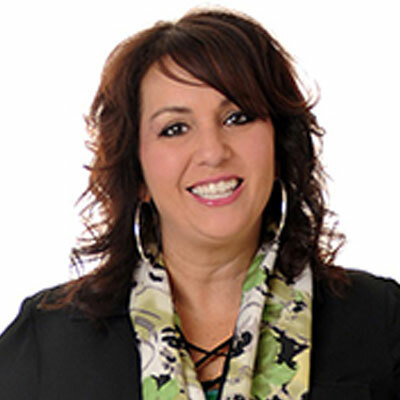 The owner of Elements of Style, Paris Cimino has been a licensed Cosmetologist since 1988 and has owned her Salon and Day Spa for over 15 years. Her credentials are as follows: Started at Carroll County Vocational school and graduated with honors, certified in cosmetics thru the Von Lee International School of Aesthetics, attended Barbizon Modeling and Fashion School. Worked with photographer Mike Newman as a make-up artist.She attends the International Beauty Show in New York City. She has attended the Redken 5th Ave Exchange Academy. The Summit salon business academy. Las Vegas Redken Symposium. She hosts monthly classes at Elements of Style salon. Paris has been a hairstylist for over two decades and has attended countless local classes through the years. In addition she is member of an elite focus group of the Mid Atlantic area, sponsored by Salon Centric. As a Redken Elite salon owner her abilities are unlimited. All members of her styling-team receive hands-on training from REDKEN’s award-winning artistic directors. Elements of Style has received the Best of Carroll County Awards in 2002 2009 2010 2011. In addition to providing superior service to her clients, Paris' main focus is to have a highly educated staff members that provide great customer service..
As a stylist,” her true passion”, she is creative and honest with her guests and always fashion focused. 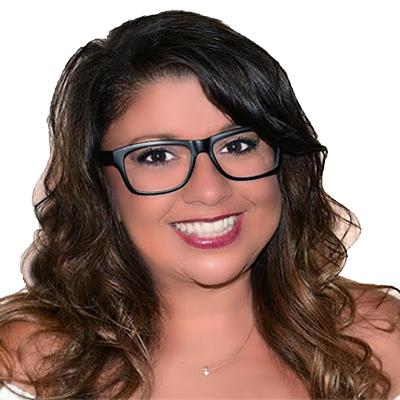 Paris has been merited as one of the most dedicated and innovative owners and sought-after stylists in the Maryland area She believes that the consultation of the client is the most important part of the hair service. Clients face shapes and life styles mean everything to her when she is creating a look for them. 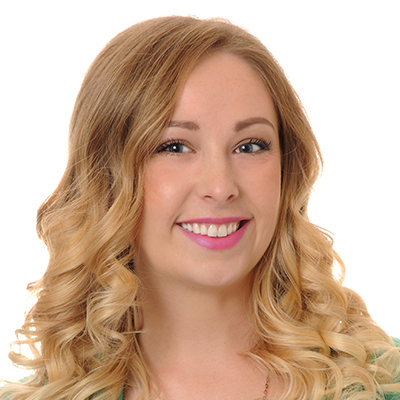 Paris is a great listener to her client’s needs and has the experience to help clients with their challenges. She loves to personalize hair styles to her guests' needs. Paris believes everyone deserves to look their best and she loves to make that happen. Barbie! She could be anything! I am proud to be the co-owner and Director of Operations at Elements of Style Salon and Day spa and our newest location Elements of Style Salon Frederick. I have been in the industry for over 28 years now and will always be SUPER proud of being named “Best of Baltimore” in 2009 from my days behind the chair!! I love my job because I get to work with an amazing group of men and women who have an undying passion for the industry I love so much. I LOVE to go to business and leadership classes and learn the latest trends in the salon and spa industry and bring back ideas for our team. Come in and let a talented member of our staff help you find your new you! Have been working at Elements since October of 2017. I’ve always had a passion for the arts and theatre since I was little. I was a part of a theatre group doing hair and makeup when I decided to go to cosmetology school and continue my passion. I enjoy making people feel better about themselves and expressing my creativity! Have you ever had a poem, or a song written about you? 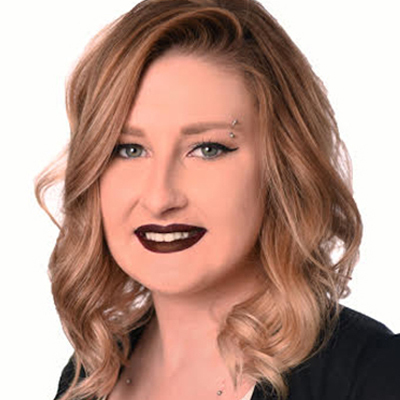 Jessica has been a licensed cosmetologist since 2016. She started her journey at another salon but quickly realized she craved more growth in her career. In 2017 she began her associate program with Dawn here at elements of style. 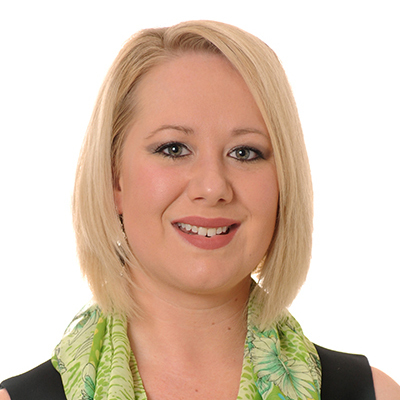 Dawn & her worked together to enhance her skill level while strengthening her relationship with her clientele. Jessica has always been artistic & creative since she was a little girl but found her passion for hair when she was in middle school. She wouldn’t belong in a job where she couldn’t express herself & be creative which is while Elements of style is a perfect fit for her! 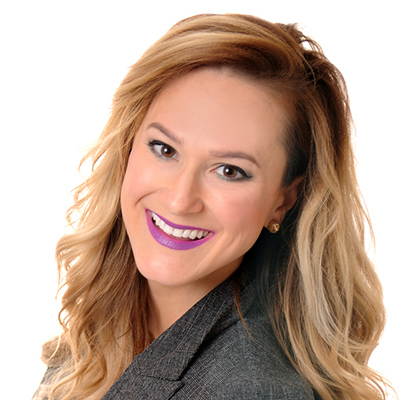 She’s excited to learn & grow herself while building lasting relationships with her team & clients. I have always has a passion for hair since i was a young girl. Ive been working in a salon as a shampoo tech from 2008 until i finally graduated with my cosmetology license in 2012 from carroll county career and technology center. With continuing my education I strive to give each individual the best service i can possibly give them leaving them happy and more confident when they leave my chair. Redken - Pillow Proof Blow Dry Primer! My go to! CND - Rubble and Married to Mauve! Definitely a tie. Three things still left on your bucket list? Go to Australia, go to Alaska, and watch baby sea turtles hatch and crawl into the ocean! I dabble in the guitar and ukulele. I’ve always wanted to learn piano as well! 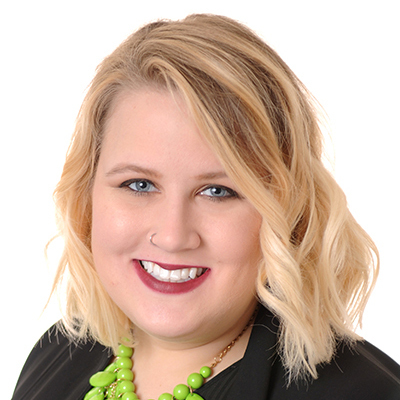 Brittany joined our team in November of 2015. She was drawn to the opportunities that Elements of Style provides in all aspects of the industry. 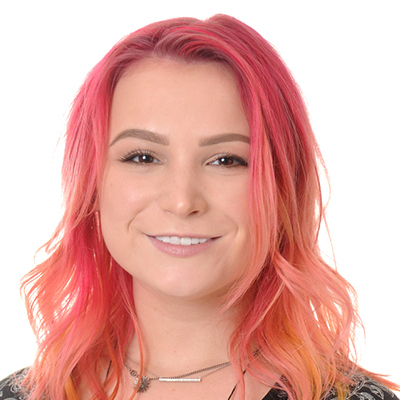 She found her love for hair when she was in high school and further pursued her passion by attending Carroll County Career and Technology Center for Cosmetology. In pursuit of further professional development she attended Baltimore school of massage to broaden her horizons. Upon graduating and receiving her license for massage she decided we were the perfect fit for her to continue both careers. She started in our associate program with Jake where she was able to expand her knowledge and discover a deeper love for her passion. This has paved the way for her to be confident in her skills as she is now officially on the floor. Brittany strives to make each guests experience incredible. She takes time to listen to all of her guest’s needs whether she is behind the chair or in the spa. With her caring nature she is also a great asset to our spa department. She is focused on making sure the guests leave in a relaxed state of mind and body. She is grateful for the opportunities that Elements of Style has provided and looks forward to servicing you. Five ferrets but only because they pooped everywhere; otherwise, I loved them. I originally became an esthetician in 1991 but put my career on hold to raise my two children. I recently went back to Von Lee International School of Aesthetics to learn what new things the industry had to offer. I completed school and reacquired my M.D. Esthetician license. I have been trained in the Danne Montague King skin care line and am currently working with Bioelements & Farmhouse Fresh and love both! As a teenager I had very bad acne and as time went on I realized there was not only something I could do to help myself but others too. Whether you have very dry, dry, combination, oily to very oily and yes even acne there is something I can do to help you! Since finishing school I continue to attend advanced education classes in the latest aesthetic techniques. Whether it is skin care or waxing I believe continuous education is the only way to keep current with the growing industry. I love giving my customers the ultimate feeling of relaxation while doing something healthy for them and taking care of their skin. I welcome my customers to come enjoy the serene, friendly, cozy atmosphere of our beautiful Spa. I don’t really have a favorite type of music because I listen to just about anything from rap to pop to R&B mainstream some classic rock. Music is an ultimate escape for me, but on a long car ride driving through backroads I love listening to mainstream or anything with vocals and a guitar/piano. Take a mission trip to help anyone in need of my help just to touch a life it’d be even awesome to touch multiples lives, to visit Greece, I just think it is so beautiful, and deep sea dive. Bioelements - All of them. CND - Everything as I like to change my polish on a regular basis. FarmHouse Fresh - I literally own everything! HomeGoods & TJ Maxx, duhhhh! Full House, Boy Meets World, & Rugrats. Jenn began her path of beauty with Elements of Style in 2003 when she was hired as a shampoo tech. She later graduated from the South Carroll Career and Technology Center in 2005 with her license in cosmetology. 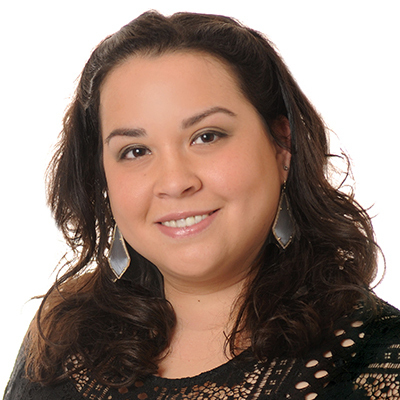 Jenn rejoined the Elements of Style team in 2006 with a passion for the beauty industry. Being inspired by the amazing world of Redken, Jenn dedicates herself to continuing education. She has taken classes at the world renowned Redken Exchange in NYC and became a Redken Certified Colorist in May of 2010. 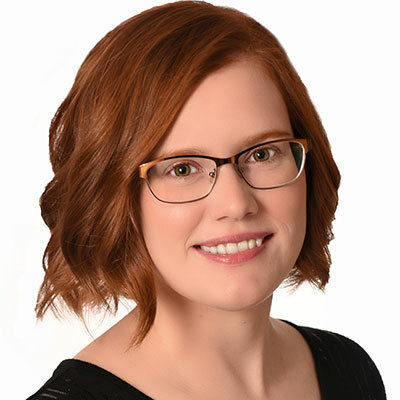 As the associate director here at Elements of Style, Jenn takes pride in her work and strives for success throughout the day. She enjoys creating fresh and fashion forward looks, from color to designing, make-up to eye brow arching. Each look is customized to compliment her clients' lifestyle and personality. With her fuel for learning and drive for success, Jenn's clients love coming to her because she is fun loving, honest and can maintain or change their look with the latest trends and techniques. Jenn loves meeting new people and spending time with familiar faces. She enjoys making people feel the best they can and keeping them looking great! Call and reserve your appointment with Jenn today, you wont be disappointed. I can't live without REDKEN hairspray 32! Best hairspray ever. Lynzi and has been with Elements of Style since 2004. She has been a licensed cosmetologist for over a decade and has been called free spirited and honest. Clients also say she has a friendly personality and a great sense of humor. 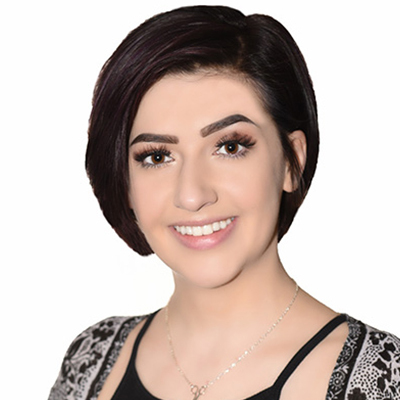 With combined backgrounds in the beauty industry and graphic arts, she enjoys utilizing her education and experience to interpret and provide a clients' desired look. Working in various areas on the east coast has taught her unique styles and fresh cuts. She has educated other salons with her knowledge, skill and ideas, firmly believing in furthering her education through classes and learning from her peers and the fashion around her. Lynzi is honored to be part of the design team at Elements of Style. Traveling to Italy, Greece, and a family trip to Germany. My immediate family lived there for a few years and I'd love to see it with them again but as an adult and bring my own family. Have you ever had a poem or a song written about you? Hahaha yes, a boy in elementary school wrote a poem for me. Unfortunately, the only thing that rhymes with Marcela is mozzarella! Marcela graduated from Von Lee International School of Aesthetics in 2003 with a 96% grade average. Her goal is to simplify skincare to make a routine accessible to each individual, no matter how busy their schedule. Her specialties include precision waxing, relaxation and anti aging massage, lactic and glycolic peel exfoliation, acne treatment, lash and/or brow tinting, air brush tanning, manicures, pedicures, shellac, body treatments and false lashes. During her last 8 years, she has worked with many different professionals and skin care products to fully develop her knowledge. With new skin research everyday she is still eager to learn more. Marcela will surely give your skin maximum benefits with each Custom Blend Bioelements facial. She is equally happy to see her devoted clientele as well as fresh new faces! Her technique as well as her upbeat personality will keep you coming back again and again! 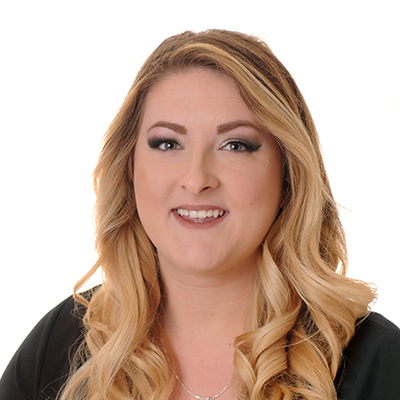 Megan started her journey at Elements of Style in May of 2009 as a shampoo tech while she was attending college. She fell in love with the hair industry and decided to follow her heart and attend Cosmetology school. She received her cosmetology license from Madison Institute of Cosmetology in September of 2012. From there, Megan went through our Associate Program, where she studied under a Master stylist for 8 months to expand her knowledge and skills. When you ask her why she decided to start doing hair, she'll tell you it's because she likes making people feel good about themselves. Megan's creative and loves doing color. She's easy to talk to and thinks communicating with her clients is the best part of her job. 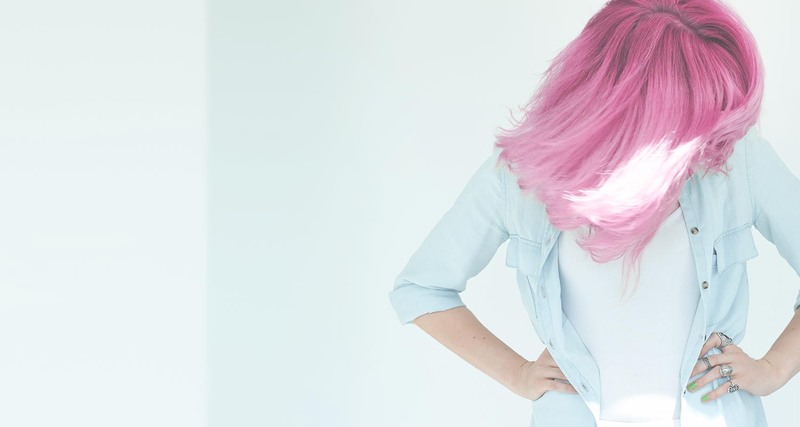 Her inspiration comes from attended educational classes to learn the newest trends and bringing them back to the salon to customize them to her clients. She became a Certified Redken Specialist in October 2013. Buffy the Vampire Slayer in my teens. My 4 wheeler and the track in the back yard. Shannon has been a stylist at Elements of Style since 2008. 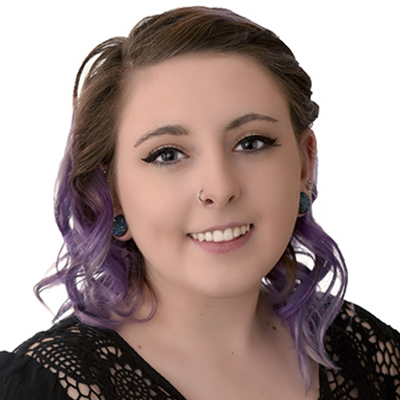 She attended South Carroll Career and Technology Center for Cosmetology, she is a Redken Certified Colorist and has taken multiple continuing education classes around Baltimore and at the Redken Exchange in New York. Shannon has also attended multiple hair shows in Baltimore, New York and Las Vegas. She has a passion for learning and loves using new techniques to evolve her guests look. Shannon is always willing to further her education to inspire her creativity and enhance her styling skilled. Shannon is a friendly, creative, bubbly person who is great at understanding the needs of her guests. She loves creating all styles from classic and sleek to modern and edgy for her guests. She is passionate about accenting her styles with beautiful, dimensional color. Shannon is also talented at up styles for her guest’s special occasions. If you are looking for a new stylist to maintain your signature style or create a fantastic fresh look, Shannon is the stylist for you! Which storybook/cartoon character still makes you excited to see? Taylor found her love for hair when she was in middle school and knew it was the career for her. 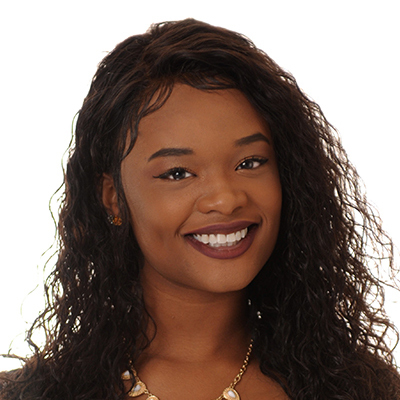 She began her hair journey at CCCTC when in high school. She became a licensed stylist in 2015. Taylor was at another salon for a few years and in 2017 she realized she needed a new creative salon environment to grow at & found Elements of Style. She worked with Jake, one of our master stylists, for 3 months. During that time in our associate program, she strengthened her skills while gaining more knowledge from Jake & our team. She is excited to continue furthering her education, so she can provide her clients with the latest trends and techniques. Making her clients feel beautiful & confident is her top priority & what drives her to keep growing in her career. Sara spent her whole life making sure the beauty industry was where she wanted to be and she's incredibly happy she chose this path. Sara started her cosmetology career at the temple a Paul Mitchell school where she learned every aspect of the beauty industry. 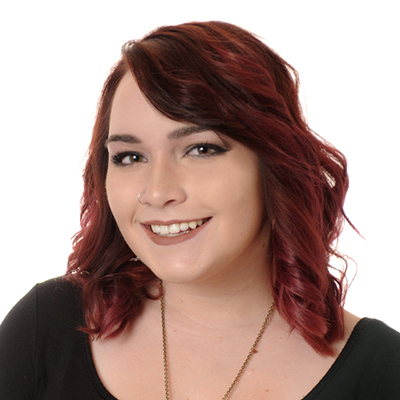 After finishing at Paul Mitchell, Sara graduated with a full cosmetologist license and certification in design. She then immediately began her career at Elements of Style working hands on for 10 months with a master stylist in the associates program. Sara has been hungry for all the education handed to her and is extremely excited to progress and learn more. She aspires to go to the Redken Symposium in Las Vegas next year. Sara enjoys every aspect of the industry from super fine hair to extremely course and curly. Sara will go out of her way to educate her guests on their style and health of their hair to make sure they are confident and happy when they leave. Served as an instructor of skin care at the Baltimore School of Massage (Baltimore, MD) as well as the John Casablanca Modeling Career Center. I provided specialized training for a wide range of age groups (Age 6-50). For the past 22 years I have used my training and education to provide individualized care to professional athletes (Baltimore Ravens), photographers, models, local anchorman and musicians. I have extensive knowledge in all facets of skin analysis and skincare regimens and am extremely proactive in identifying potential allergies and other complications that could potentially arise from treatment. Areas of specialized care include: Acne, Aging skin, Sensitive skin, Rosacea, Redness, Pigmentation Disorders, Scarring and many others. I have been trained to use many professional skincare products and can provide knowledgeable guidance to clientele of all skin types. I also believe in integrating Wellness practices and Holistic therapies such as aromatherapy in conjunction with contemporary techniques to achieve optimal results. My philosophy is simple- to provide an individualized, therapeutic skin care regimen to enhance and accentuate the beauty of each one of my clients! I am passionate about skincare, so my goal is for them to encounter a relaxing, enjoyable experience that provides results that exceed their expectations. Honestly anything new that has a good beat. I’m constantly on the search for new music. Climb Machu Picchu in Peru. Volunteer in a foreign country helping establish clean water resources and solutions. Jake has been part of the E.O.S. team for 7+ years. He started his career in Indiana, where he graduated from The Salon Professional Academy, a Redken school. Learning better and growing better in this industry is where Jake thrives. 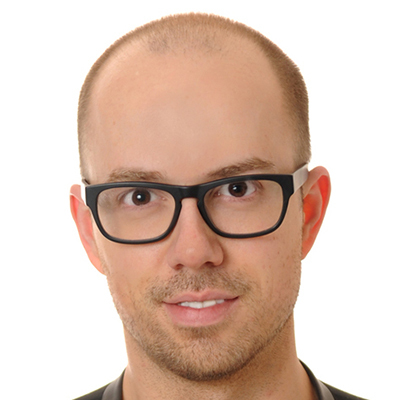 Being an educator, Jake helps train, mentor and inspire the future of the beauty world. His inspiration is pulled from the small things in nature or cityscapes that others might look over. Jakes passion is to inspire and encourage his guest to be the best version of themselves inside and on the outside. Can’t wait for you to experience the creativity Jake has to offer. Brooklyn has always had a passion to create. In 2013, she became a licensed cosmetologist and in 2016 she became part of our associates program where she strengthened her skills and furthered her education. Brooklyn worked under a master stylist for months growing her knowledge and building her confidence to provide the best experience possible. She enjoys learning new techniques that help keep her guest updated and her creativity thrives whenever someone sits down in her chair. Brooklyn loves to put her artistic touch into everything she does so her guest leave looking and feeling fabulous! She is happy to work in such a positive environment that is so hungry for knowledge and she is excited for the opportunity to create with you! Cameron joined Elements of Style as a shampoo technician in November 2010. In June 2011 she became a licensed cosmetologist and completed the associate program with one of our associate directors Jenn! As the industry is forever-evolving one of Cameron’s strengths is her energy towards more education in all aspects so that she is able to personalize each of her guest’s hair needs. 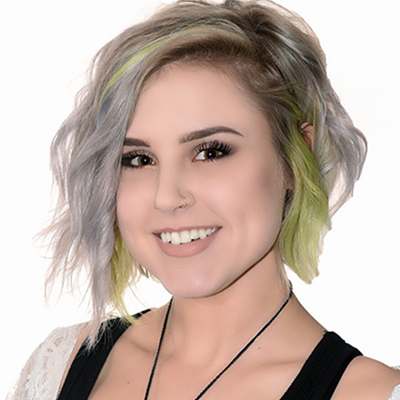 Cameron is one of our Redken Specialists meaning she has been trained in all of the latest Redken products, color techniques, and trends. Following becoming a Redken Specialist she became Redken Design Certified and is working towards becoming Color certified as well! Cameron has also attended the Redken Exchange in New York City for advanced learning; expanding her cutting and coloring techniques. Cameron is always looking forward to meeting new people, building long lasting relationships and showing you the difference between ordinary and extraordinary. Redken - Pillow Proof 2 Day Extender Brunette Dry Shampoo as it helps revive my style while adding extra body as well as a bit of grey coverage as an added benefit! Pureology - New Vinegar Hair Rinse as I am in love with how my hair feels and looks after I use it because I have naturally curly hair I use a lot of product and also have well water that can dull and build up on my hair. CND - Solar Oil and Cuticle Softener as I am in chemicals and water everyday and it keeps my nails and cuticles soft and strong from splitting. Farmhouse Fresh - Pajama Paste Mask as my face looks so smooth and tight and feels hydrated all the same time. About 27yrs old - a pair of knee high leather with a side ankle buckle and studs with a slight heel; I got them when I was a junior in high school I think; I LOVED THOSE BOOTS! I wore the heck out of them thank god they can’t talk... I cant even fit them anymore just cant seem to let them go, lol. Dawn earned her cosmetology license in June of 1992 in New York, where she worked in a full service Redken salon for two years. Later, she moved to the mid-west, and through ongoing education and dedication to her career she earned a Salon Managers position which she held for nine years. In May of 2003 she moved back to the east coast and became a team member of Elements of Style. Since then, she has been instrumental in the continued success of the salon, and was promoted to Associate Director. Her vast experience and knowledge in the field also led to the opportunity to launch the associate program at Elements of Style. The Associate Program is an advanced training program designed for inexperienced and upcoming stylists that are mentored by a senior stylist. 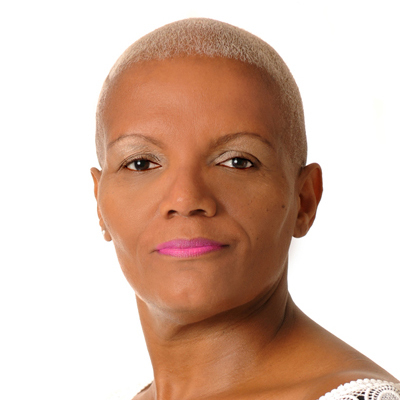 With over 19 years of experience in the industry, Dawn brings a wide breadth of highly skilled services to her clients to include: foil techniques, coloring, waxing, styling for formal occasions, texture services, as well as other basic services. 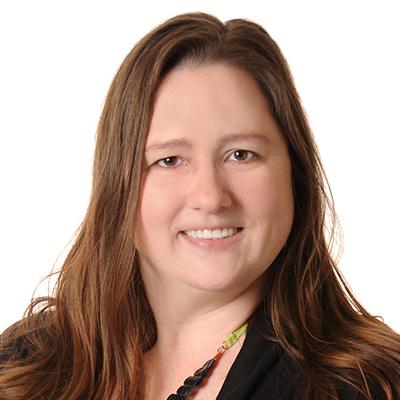 To continue to keep pace with this ever-evolving industry, Dawn continues to attend seminars and workshops to broaden her talents. She feels that continued training is the key to her success, and is what drivers her inspiration to provide the utmost service to her clients. Her experience and meticulous attention to detail has earned her the appreciation of her clients. 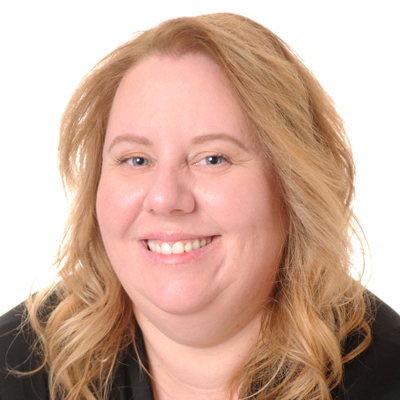 Dawn will provide you with the personalized attention that you deserve. 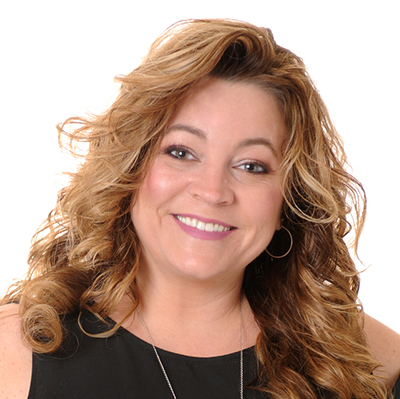 Gerry began her journey at Elements of Style in the summer of 2006 as a shampoo tech. After working here for a few years, she knew she was in the perfect industry. After completing our nail associate program with Bridgette, Gerry started her fun and creative life as a Nail Technician. Coming from a family of artists, Gerry is inspired to help people express themselves through their nails. Gerry loves to meet new people and strives to make every guests experience fun and welcoming. Kristin became a licensed cosmetologist in 2018. With her education covering a broad spectrum she felt a calling towards the artistic nature of nails. Kristin worked under a Level 3 nail tech to better her knowledge and learn all that the Elements of Style Spa has to offer. Kristin loves to continue her education to insure your nails are up to date with the current trends. Hand painted nail art is one of her favorite things to do. She strives to make each, and every client feel special and beautiful when they walk out the door. This could be you! Click here to apply for a stylist position with Elements of Style!